My copy of Mass Effect 3, well-loved and much-played, is on PC. As I look right now, Origin hasn't updated with the Extended Cut DLC yet, so I haven't been able to experience any of the new content for myself. My Shepards — Eve Shepard, who shall we say, chose to be controlling, and Kate Shepard, who chose to be destructive, remain frozen in time, sitting at autosaves created at the Point of No Return. But Xbox 360 players? They've been going at it for hours. And some have been capturing video. Click on through the gallery to see all of Shepard's endgame choices, as re-imagined and retold through the magic of DLC. (And if you're interested in a fourth, entirely different ending, there's that, too.) Fair warning: naturally, spoilers ensue. 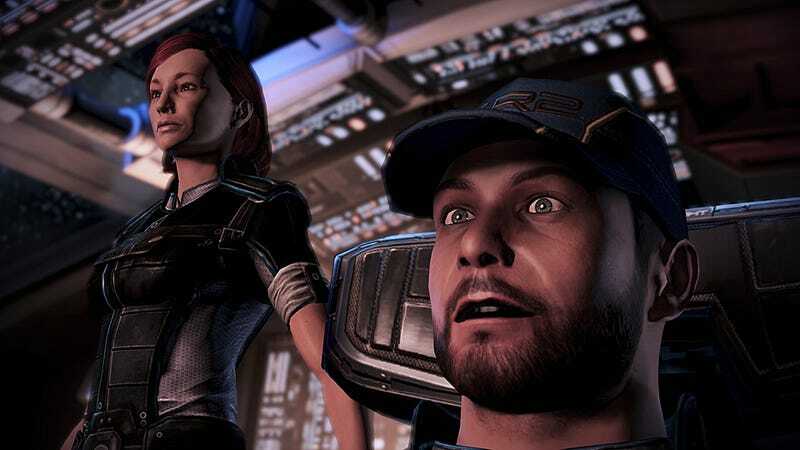 Mass Effect 3 Extended Cut Adds A New Ending Option. Watch It Now. The first six minutes of all three videos are the same: Shepard in conversation with the Catalyst, learning what his options are. After the Commander makes a decision? You can see for yourself. It's worth remembering that these are all the same Shepard. Your choices, flashbacks, and character moments may vary. But certain off-screen implications are made explicit on-screen. And if you wanted an epilogue? Boy, are these for you. Me? I always cry at the ending. Because I am a sentimental fool. And no matter how the story ends—before or after being added to—it's the conclusion of a long ride with old friends. "There is power in control. There is wisdom in harnessing the strength of your enemy." "Against all odds, and in the face of the greatest threat this galaxy has ever known, we survived." "I am alive. All of us, synthetics and organics, have been changed."